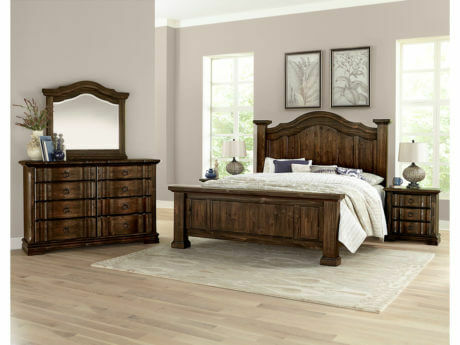 Crafted by artisans in southern Virginia, Rustic Hills is an oversized traditional bedroom collection. 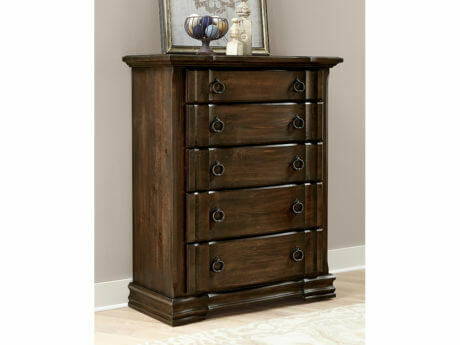 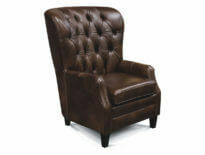 This collection, made of solid hard woods and pine veneers, is available in three different finish options. 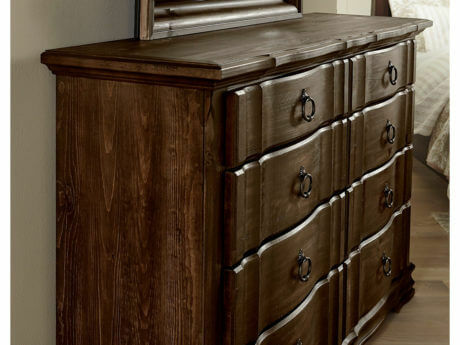 All case pieces feature serpentine shaped tops, drawer fronts, and base rails. They have wide chamfered pilasters, and each drawer front is adorned with traditional ring pulls. 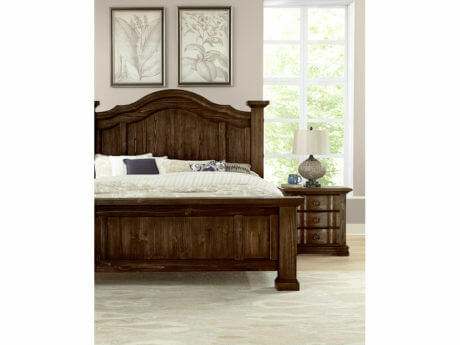 There are two bed options in Rustic Hills. 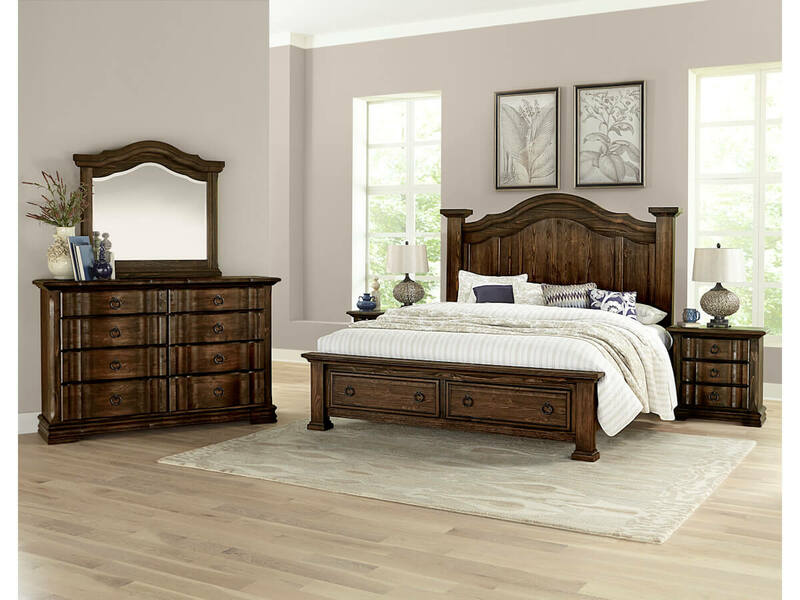 The first is an oversized mansion bed that features 5 ½ inch wide posts, and an arching cap rail that compliments the tops of each case piece. The second bed option is a traditionally styled sleigh bed, with oversized frames on both the headboard and footboard. Both beds can be paired with our optional storage footboard, and each serve as a great focal point in any bedroom. 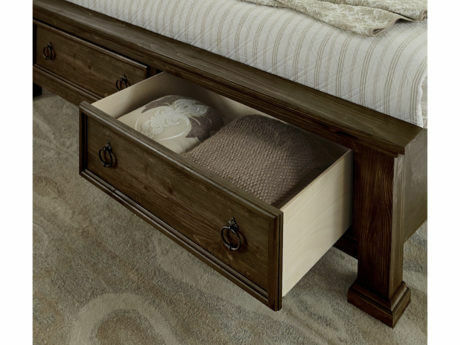 All case pieces feature arching cap rails, drawer fronts, and base rails.